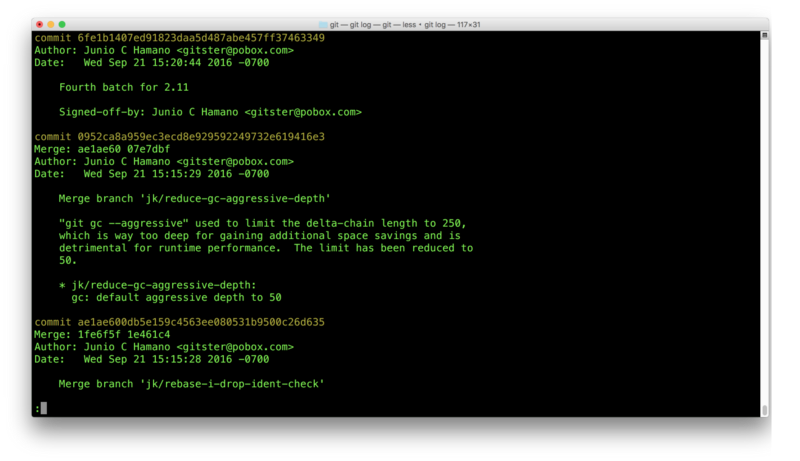 Plenty of interesting, fun, and powerful Git commands have been set options. This guide covers some of the less-known commands and their uses. 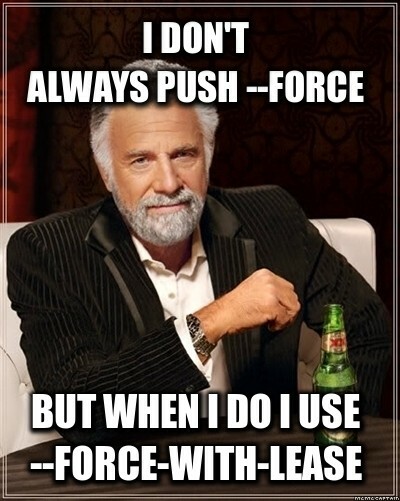 Every developer has had the chat with their team lead about force pushing to a shared branch (i.e. don’t do it). Rebasing, amending, and squashing. are all good fun right up until you rewrite some shared history and spill duplicate commits all over your repository. Fortunately, Git won’t let you rewrite history on the server willy-nilly. You have to explicitly pass the --force option to git push to show you mean business. But force pushing is a bit heavy-handed: It stomps the upstream branch with your local version, and any changes that you hadn’t already fetched are erased from history. Ever commit and then immediately realize you’d forgotten to stage a file? Fret no more! git commend quietly tacks any staged files onto the last commit you created, re-using your existing commit message. So as long as you haven’t pushed yet, no-one will be the wiser. The first commit of a repository can not be rebased like regular commits, so it’s good practice to create an empty commit as your repository root. git itboth initializes your repository and creates an empty root commit in one quick step. Next time you spin up a project, don’t just add it to version control: git it! 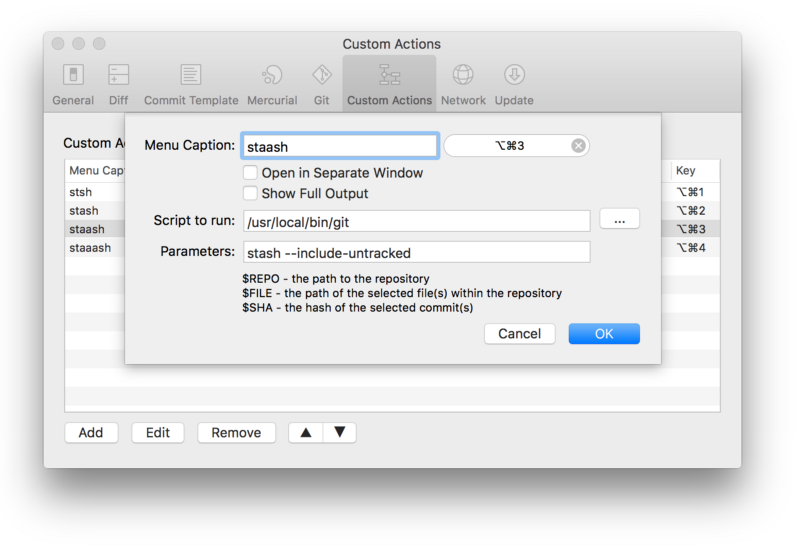 git stash is one of the most delightful and useful Git commands. It takes any changes to tracked files in your work tree and stashes them away for later use, leaving you with a clean work tree to start hacking on something else. 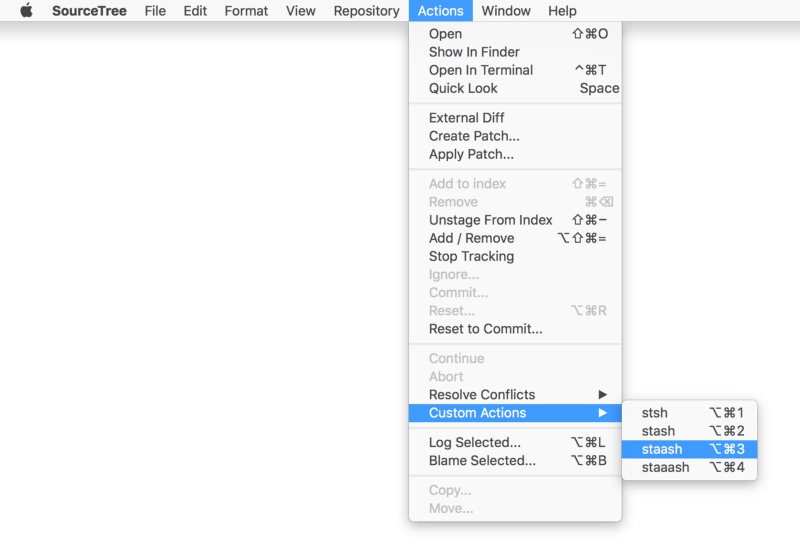 However if you’ve created any new files and haven’t yet staged them, git stash won’t touch them by default, leaving you with a dirty work tree. Similarly, the contents of untracked or ignored files are not stashed by default. 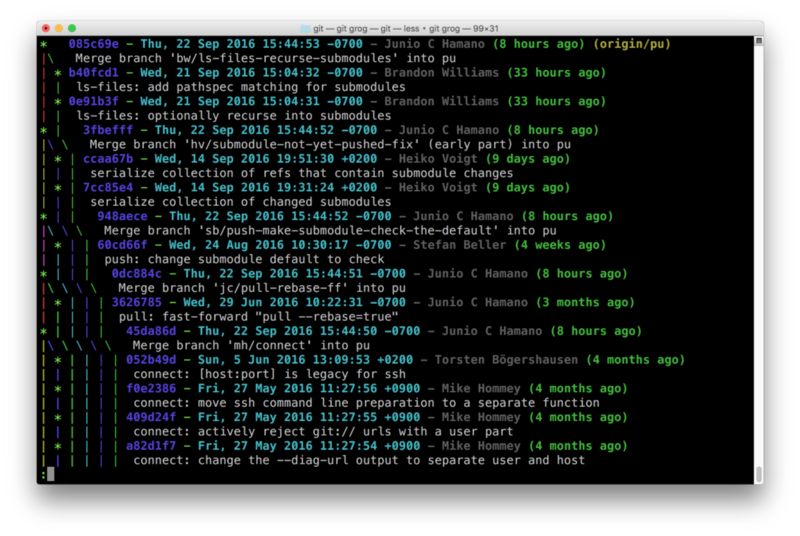 If in doubt, the long one (git staaash) will always restore your worktree to what looks like a fresh clone of your repository. If you’re using a standard non-rebasing branching workflow, running a standard git merge to combine feature branches with the master is actually not ideal. With no options, git merge uses the --ff merge strategy, which will only create a merge commit if there are no new changes on the master branch, otherwise it simply “fast forwards” your master branch to point at the latest commit on your feature branch. Only sometimes creating a merge commit makes it tricky to reason about which code was developed on which branches when looking through your git history. Git merc uses the --no-ff strategy, to always create a merge commit. Incidentally, --no-ff is also what we use under the hood (by default) when merging pull requests in Bitbucket. There are all sorts of pretty formats available, so fork the command above and make it your own! Happy aliasing! If you have some neat Git aliases of your own, share them in the comments, or tweet me @kannonboy.